Thank you for agreeing to the interview. Would you mind introducing yourself? My name is Tom Baker, I am one of three members of the band Triptet. 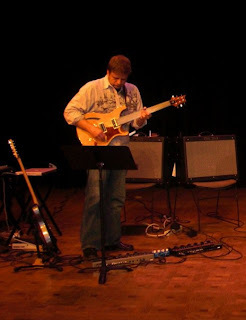 I play fretless electric guitar and electronic effects and loops. My bandmates are Michael Monhart, who plays saxophone and various percussion instruments; and Greg Campbell, who plays drums and french horn. Greg and Michael also play a Tibetan horn on the new album. We are bi-coastal trio: Michael lives in NYC, and Greg and I live in Seattle. 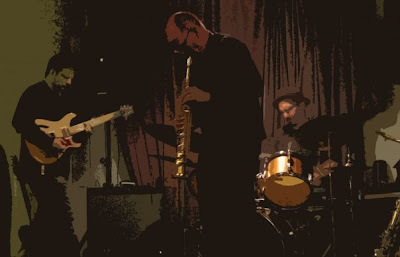 Triptet was form in 2009 by three members of a Sun Ra Tribute Band. I would like to know about the early beginnings of your music carrier…where did you play music and how did you come together later to form Triptet? 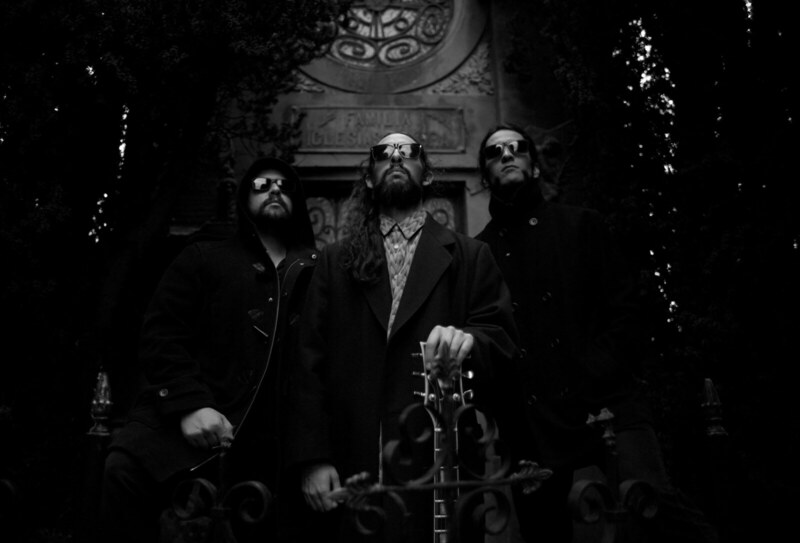 The three of us have known each other for many years; we were all part of the experimental and improvisation scene in Seattle in the early 90’s. It was a great time to be an improvising musician in Seattle, as there were (are) some important and influential musicians here (Stuart Dempster, Bill Smith, Matt Sperry). Greg and I formed a group together known as the Tom Baker Quartet in 2004, and we began to play with Michael in a Sun-Ra tribute band. I had an idea that I wanted to be in a trio, with sax and drums, but without bass; inspired by groups like Big Satan and Tyft. So in 2007, the three of us began working together. Michael had recently moved to New York, so it took a while for the band to really get going. We played all over Seattle during the first couple years, and then began to branch out from there. You released two albums: You Can See The Bottom (Present Sounds Recordings) and Imaginary Perspective (Engine Records). Would you mind telling us about producing and recording your first album? You Can See The Bottom was released on a Seattle label called Present Sounds. We had made a demo recording called Triptet in 2009, which was a self-produced record made from a live radio show for KEXP. The next year we had new material and felt the band had gelled to a point where we wanted to go into the studio and see what we had. We recorded it at Gravelvoice Studios in Seattle, with Scott Colburn as our masterful engineer. It was recorded in one long day, and came out in September of 2010. Soon thereafter, we met Steven Walcott, from Brooklyn, who makes records for Engine Records. He liked our sound and we liked his aesthetic direction, so we began to work on the new CD Imaginary Perspective. What does inspire you the most to create this so called free space sound scape you are doing on your records. 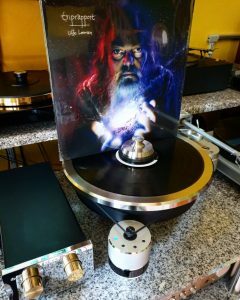 Of course we can hear a lot of Sun Ra music in your sound, would you like to add some more influences? All three of us have varied and extensive backgrounds in modern music. Michael has degrees in ethnomusicology and is finishing a masters degree in Tibetan languages. 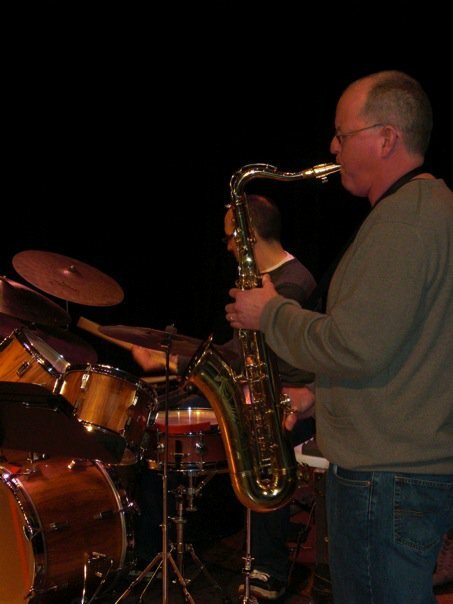 Greg has degrees in drumming and ethnomusicology, and wrote his dissertation on the AACM music scene. I have degrees in performance and composition. We all have an academic background, so part of our influence comes from a modern-classical tradition, perhaps mostly grounded in the music and thought of John Cage. 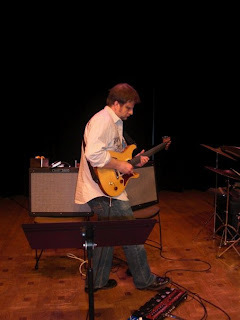 Each of us has also come to this group from various “free” music situations, with influences by Ornette Coleman and other free jazz players/composers. We all write music, and we all love to play free music. I think that our free playing is based in improvisation, it is also structured and built as a composition might be. Personally, my influences are varied. I have been lucky enough to count as mentors some great musicians, including Henry Threadgill and Stuart Dempster. I love the music of Nels Cline, Gyorgy Ligeti, Charles Ives, Ornette Coleman. 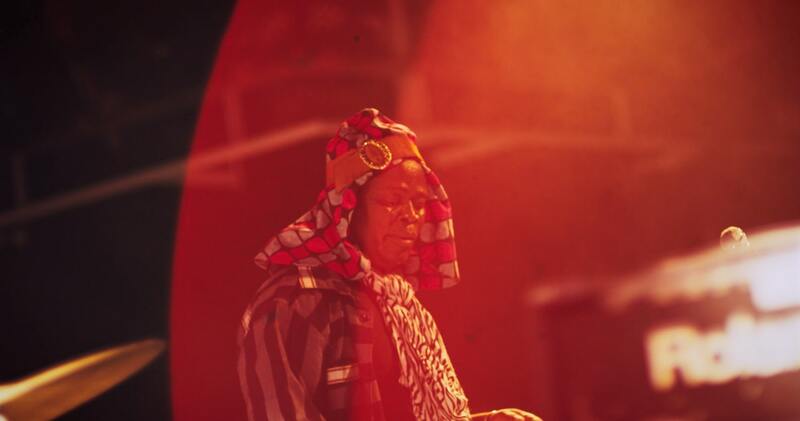 We are all interested in the music of Sun Ra, and Triptet was born from the free spirit of Sun Ra and the inventive experimentalism of John Cage. 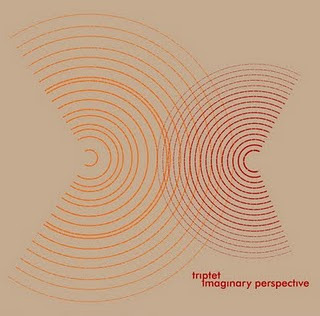 Your latest release is called Imaginary Perspective. It was released on Engine Records. Would you mind presenting us your new album? We are a sonically textural band, based on the traditions of free jazz and modern classical experimentation. In July of last year, we set out working on a new record with Steven Walcott from Engine Records in Brooklyn. With his help, we landed on some new ways of making peices (new to us, at least) with large-form, slow moving textures that accompany a frenetic and fast moving core (usually in the drums/percussion). We are really excited about this new venture with Steven and Engine records. We largely self-produced our first two records, and Steven really took his producer role seriously in the sessions. He was able to help the band move in new directions, we found ourselves in musical spaces that we had not explored before. Touring is a very tough game right now in the US. Funding organizations are pulling back from supporting creative music festivals… But we have been lucky enough to play some very creative and exciting festivals. We headlined the Boise Creative and Experimental Music Festival in 2010, and have performed twice at the Is That Jazz? 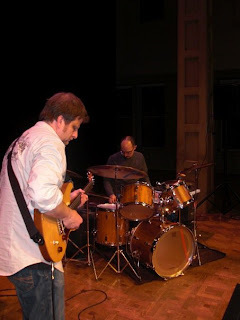 Festival, opening for Elliott Sharp in 2009 and the Nels Cline Singers in 2011. What are some of your future plans? New album, tour? We are going back into the studio with Engine records to make a new album in the fall. In the meantime we are performing as much as possible and promoting Imaginary Perspective. We just recently played the Stone in New York City, and in July we will be performing in the Earshot Jazz series called the Second Century of Jazz. We are hoping that the momentum from this new record will open up more opportunities for us to play festivals and shows in US, North America, and perhaps overseas. Thank you very much for taking your time for this interview. I hope we will hear more from you in the future. Would you like to add something else, perhaps?